HEPPER NOMNOM PET BOWL Your cat can enjoy stress-free meals with our whisker-friendly design. The wide tray keeps your floor clean by catching drips and crumbs. Two Stainless Steel dishes for safety. KEEP YOUR FLOORS CLEAN: Tired of pet supplies that end up helping your dog or cat to make a mess? Keep your floors clean – your pet will no longer splash water or dog food & cat food all over the kitchen floor, creating a mess that you have to clean up. KEEPS LARGE ANTS AWAY: Keep your pets food safe! Pour water in the surrounding tray and large ants will no longer invade your pets bowl. Make a moat that pesky ants and bugs can’t cross. WELL MADE MODERN DESIGN: The NomNom bowl is designed with beautiful stainless steel dishes – that fit in a modern sleek tray and come in attractive colors that help add modern style to your kitchen. Fit for royalty, the Hepper NomNom Bowl is your best choice for healthy eating and clean floors. For cats and dogs, two things that matter in life most are eating and sleeping. These are important activities in your life too, but you’re probably not as lucky as your cat to be able to prioritize them so highly. opinions about clean bowls and fresh food. A single piece of old food stuck to the bowl can cause a picky eater to turn their nose up at the whole meal. cleaning up after each and every meal can quickly become frustrating. real benefits are all for you, their parent. NomNom Bowl keeps your floors clean – The tray forms a moat around the bowls, so if your little one is a messy eater, their kibbles will end up in the tray instead of all over your floor. Both bowls are easily removed from the base – Only touch or wash what’s actually dirty. Easily separate your cat’s food and drinks – Keep food in both, food in one and treats in the other, or food in one and water in the other. 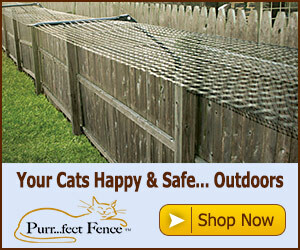 Your cat will be able to tell you what it prefers most. prevent bigger ants from climbing over the tray to the bowls, so your pet’s food stays safe. With the Hepper NomNom Bowl, eating off the floor has never looked so good. Paired with the Hepper Pod Bed, your cat will eat and sleep like the king or queen they are. WORKS FOR SMALL DOGS: Do you have a small dog and need a compact bowl that is not ugly and elevated? The Hepper NomNom bowl is perfect for this and works well with any dog food. FREE SHIPPING: The Hepper NomNom cat bowl ships to 50 states for FREE with Prime and is backed by a 100% money back guarantee. What are you waiting for? Add this modern pet bowl to your cart today!